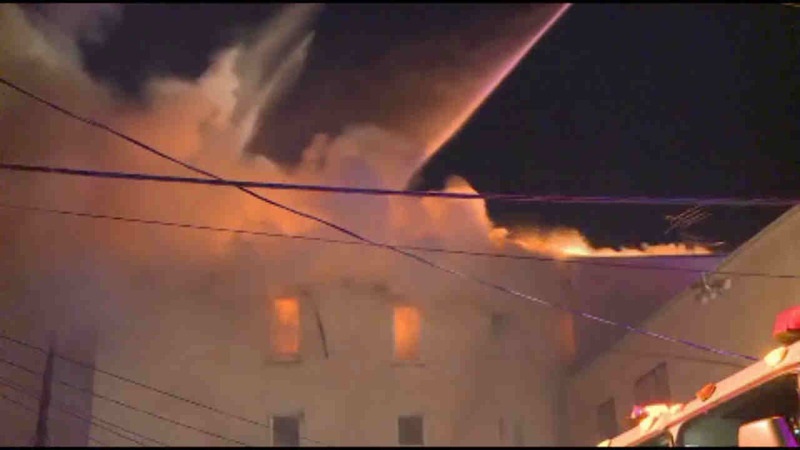 PATERSON, New Jersey (WABC) -- More than 50 people were left homeless after a fire tore through an apartment building in Paterson. The fire broke out Saturday morning on Main Street. Firefighters battled the frigid temperatures as they brought the fire under control by 9 a.m. The Red Cross was helping displaced families. There is no word on any injuries. The cause of the fire remains under investigation.